To relieve back pain in the car. If you are among the privileged who have a cruise control options on their car, you will not miss to notice that to engage the cruise control on highway allows to make more kilometers, to roll longer, while sparing the back. Why ? Simply because the legs are not stretched to the pedals for extended periods of time: the feet are flat to the ground and the legs support some of the weight of the body instead of leaving the entire load on the pelvis. The cruise control option on a car is a "MUST" that should be supported by the mutual! Car seat pads are very important on these days. This is a sneaky accessory that can do more wrong than good. When one has a backache in the car, one tends to abuse the central armrest, and to use it to stand bad and aggravate his case. The central armrest, as its name does not indicate, should be used to support the front arm and wrist: if you put the elbow, too much of the weight of the body will weigh on the upper arm, the shoulder, and in front the tensions in the neck and the cervical problems. It's very sneaky, the pain settles and we do not leave. It is much more efficient, when driving, to move the right arm behind the armrest and let it hang freely between the two front seats, with the hand a little behind the shoulder, left to the pass behind the driver's seat, as long as it does not cause tension. All cars now have a steering wheel adjustable in height and depth. Always to keep the shoulders, you should pull the steering wheel towards you at the maximum when adjusting: it is absolutely necessary to avoid keeping arms extended when you ride, especially if you already have painful shoulders. Keep the shoulders in constant contact with the seatbacks: this is the only way to make sure you are almost straight while riding. Regarding the height, set the steering wheel low. I can not stress enough the importance of shoulder protection in all situations of everyday life, especially in the car or the office : two special situations in which one holds one's arms extended for extended periods. Painful shoulders and joints inevitably cause pain in the upper back, neck, and headaches . Feel free to read the article and see the video that shows stretching to do to ease the shoulders. Another double-edged accessory ... When the spine is misaligned, just a little to increase or decrease the pain. Pressing the head against a surface (even if not rigid) is sometimes enough to cause pain in a region of the head that is below the ears and down to the base of the neck. These are pain that could be called "surface pain", due to inflammation or compression of the blood vessels that are just below the skin, at this level of the skull. This pain, which is difficult to explain to a doctor, goes from unacceptable tickling to a burning sensation. Put a thickness (5 to 10 cm, it depends) between your skull and the headrest, to prevent your head from making too much movement to do the back. Some types of car seats have ledges that come back inward. These edges are not maleurously adjustable and are only useful for people quite bulky. There is a way to take advantage of it. I have long had the nasty habit of putting a wedge where it hurts in the back but it is not very clever: it only accentuates the pain. The wedge should be placed where it can play a supportive role and take some of the pressure off the lumbar discs: somewhere around the hips. If you put a wedge between your hip and the edge of the car seat, you will feel very quickly if it is in the right place or not: according to each, it will be put either just on the hip or a little higher than the hip, a little lower. And a wedge for each hip of course. The hold must be a rigid object (but not too much). This may be a ball of cloth. What works well too is a square of polystyrene rather thick (like 4 or 5 centimeters thick): it is rigid but it does not hurt and it goes very well to the hips. Other tips and tricks welcome! How to know if a rabbit will die? The death of a rabbit is a blow to anyone who has had a good relationship with their animals, but it is important to understand that death is an integral part of life and that without death, life would not any sense. In animals, it may be difficult to determine if the symptoms they present are caused by any harmless pathology or if it is a signal of their imminent death. He no longer drinks and does not eat anymore. He does not move anymore. His vital constants are altered. In the next paragraphs of our article How to know if a rabbit will die we will amply develop these points and we will finish our article by explaining you what to do when a rabbit is dying. Rabbit who does not eat anymore and does not move anymoreHow to know if a rabbit will die? In this first paragraph we have grouped two major symptoms that are typical of a rabbit at the end of life. 1: He does not drink anymore and does not eat anymoreOne of the most significant behaviors of a rabbit at the end of life is that it shows no interest in food or water. Your rabbit does not eat hay anymore ? You should know that the lack of appetite can be caused by various pathologies such as scabies, a tooth malformation or an accumulation of hairballs in the stomach. Nevertheless, rabbits need to eat hay as well as drink water regularly (like all living beings), if you notice that your rabbit disdains food and drink, take him to your vet as soon as possible! 2: It does not move anymoreAnother telltale sign that a rabbit is at the end of life is inactivity and apathy , both of these symptoms are also part of the rabbit's stress symptoms. In any case, when you observe a brutal and radical change in behavior, you must know that something is wrong with your little hairball. How to react to apathetic rabbit? It will provide a comfortable space away from noise and heat and most importantly: you must contact your veterinarian as soon as possible ! Its vital constants are alteredTo answer the question How to know if a rabbit will die , it will be of prime importance that you observe its vital constants, a rabbit at the end of life will have altered vital constants: its breathing will be interrupted, its temperature will be lower than the usual. 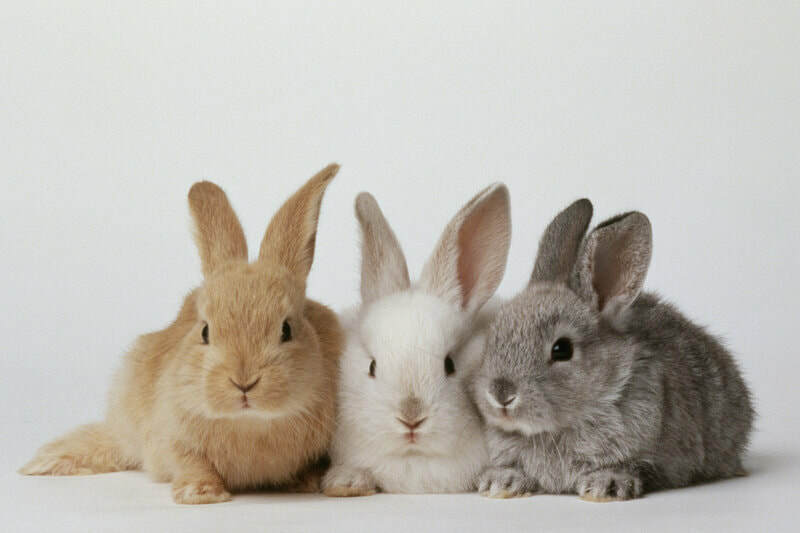 Body Temperature: The normal temperature of a rabbit is between 38ºC and 40ºC. Heart Rate: The heart rate of a healthy rabbit is 180 to 250 beats per minute. Respiratory rate: 30 to 60 breaths per minute. Capillary refill time: This consists of observing how long it takes for a mucosa to regain its normal color after being pressed on it. You can do it gently on the lining of the gums, the capillary filling time of the lining of the gums should not exceed 2 seconds (maximum time for the gingiva regains its normal color). In the same way, it turns out that the gums and the mucous membranes in general are good indicators of the health of our rabbit, so, if you see that your rabbit has the mucous membranes of color, blue, yellow or white, it is that it must be brought to the veterinarian as soon as possible! When you observe one or more of these signs, it is more than recommended to go to the vet urgently!